Good Samaritan Hospital, an affiliate of Bon Secours Charity Health System, has established an affiliation with WMC Health’s Heart & Vascular Institue. 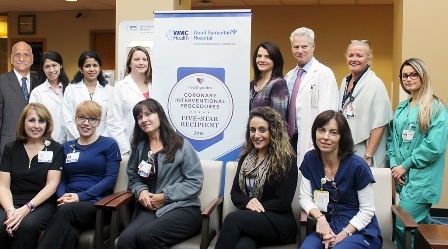 The relationship brings together two award-winning cardiac and vascular centers to elevate the level of care available to the communities of Rockland and Orange counties. This collaboration allows Good Samaritan Hospital to maintain the only complete cardiovascular program in the Lower Hudson Valley. Bon Secours Charity Health System includes the first and only complete cardiovascular program in the lower Hudson Valley. 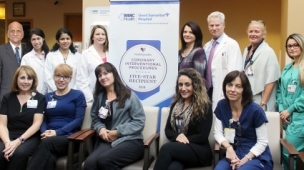 The Active International Cardiovascular Institute at Good Samaritan Hospital offers the most comprehensive cardiovascular care provided by a highly experienced cardiac team. In fact, the Institute is home to the only complete cardiovascular program from the New Jersey border to Albany. Hybrid surgery – Open or minimally invasive surgical procedures and catheterization can be performed simultaneously. Our patient focused care is enhanced through rapid communication with all members of the team, including surgeons, cardiologists, nurse practitioners, physician assistants, nurses and technicians. This facilitates timely decision making in those important “matters of the heart”. This partnership marks an exciting reaffirmation of our commitment to the highest quality cardiovascular services and to the constant advancement of all of our programs. We are proud of the ten years of service to the community, and our partnership with WMCHealth is a reaffirmation of that commitment. We say that we offer the best physicians, procedures and technology. But what really matters is what other organizations say about you... professional organizations whose sole job and expertise is to monitor hospital programs and how well they do, using hard data on complications, deaths, number of procedures and more. When we began offering cardiac services, we had a simple goal: To be among the very best cardiac programs this nation has to offer. So we recruited the finest physicians, surgeons, nurses and technicians and we equipped them with the finest technology. We wanted nothing less than to offer the highest quality cardiac institute. And, as you’ll see, our rankings, honors and designations show that. We’re proud to share these statistics with you, and encourage you to ask any of our team members about them. 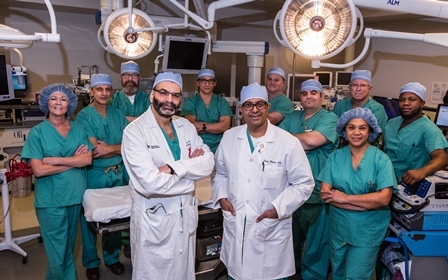 Our cardiac and cardiovascular teams bring together renowned cardiologists and open heart surgeons which gives our community the opportunity for world class care in their own back yard.